As we enter August, it is worth reflecting on what Russell Bretherton was doing 62 years ago. He was a civil servant at the Board of Trade who was sent to the negotiations for the creation of the European Community in the Summer of 1955. The UK was asked to send its Foreign Secretary, Harold Macmillan, but instead sent a ‘representative’, Russell Bretherton, with strict instructions not to agree to anything. The story, told in the second chapter of ‘How to Lose a Referendum’, is a classic example of one of the missed opportunity to shape the EC in our interests. Bretherton was the consummate professional civil servant, carrying out his orders to the letter, whatever he thought personally. 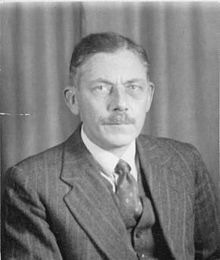 Robert Rothschild was an assistant to a Paul-Henri Spaak, the Belgian Foreign Minister who had become head of European Coal and Steel Community (ECSC – the forerunner of the EC) and thus led the talks. Rothschild remembers Bretherton as “a very pleasant fellow and very courteous”, but that he contributed little. “He usually had a rather cynical and amused smile on his face, and he looked at us like naughty children, not really mischievous, but enjoying themselves by playing a game which had no relevance and no future.” For his part, Bretherton felt that he did contribute, but mainly to point out the technical difficulties of a customs union because of the UK’s links with the Commonwealth, and how a Free Trade Area would be a good deal easier. So Russell Bretherton went back to London, and Paul-Henri Spaak followed him, to try to persuade London to change its mind on its approach. He managed to get a meeting with Chancellor of the Exchequer Rab Butler, at which his aide Robert Rothschild was present. During my time writing and now talking about the book, I have found that nobody (apart from Nigel Farage) had even heard the name Russell Bretherton before. There is only one picture of him in existence and he only gave one interview (to the BBC in 1982). But his presence and instructed behaviour at the talks to create the European Community says much about the UK’s attitude to European Unity back in the 1950s. Vote Leave’s most successful slogan during the referendum campaign was ‘take back control’, and to the extent that the UK had lost control, it started with Russell Bretherton being sent to Brussels in 1955. « Should we tie our own hands behind our back on free trade?